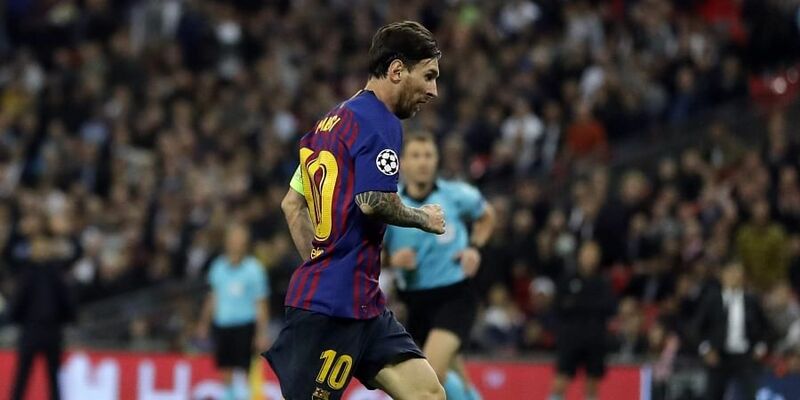 PARIS: Lionel Messi struck twice as Barcelona inflicted more Champions League pain on Tottenham with a 4-2 win at Wembley on Wednesday, while Neymar hit a brilliant hat-trick in Paris Saint-Germain's 6-1 rout of Red Star Belgrade. Barca head Group B on six points alongside Inter Milan, but Mauricio Pochettino's side face a vital double-header against PSV Eindhoven after failing to collect a point from their opening two matches. A cracking Pablo Rosario strike put PSV ahead, but Inter levelled through Radja Nainggolan moments after visiting goalkeeper Samir Handanovic somehow escaped a red card for handling outside area. Mauro Icardi, whose late goal stunned Spurs a fortnight ago, was the hero again for Luciano Spalletti's men as he pounced on hesitant defending to net the winner on the hour. "I really liked the effort made by the whole team, but Neymar was sensational," said PSG coach Thomas Tuchel. "He is one of the best players in Europe and that is very, very important for us." Carlo Ancelotti's Napoli top Group C after Lorenzo Insigne delivered a 90th-minute winner at home to Liverpool, who are level on three points alongside PSG. Dries Mertens hit the bar for Napoli late on, but there was still time for Insigne to nick all three points as he slid to poke in a cross from Jose Callejon. Antoine Griezmann scored two goals to lift Atletico Madrid, last season's Europa League winners, to a 3-1 victory over Club Brugge in Spain. Arnaut Groeneveld cancelled out Griezmann's opener with a thunderous strike from the left wing, but the France international restored Atletico's lead before Koke made the points safe in stoppage time. Borussia Dortmund lead Atletico at the top of Group A on goal difference following a 3-0 defeat of a struggling Monaco outfit. Porto are joint-top with Schalke following a 1-0 win over Galatasaray courtesy of Moussa Marega's second-half goal in Portugal.